"CFS (Chronic Fatigue Syndrome) is one of the greatest scientific and medical challenges of our time," said Dr. Jose Montoya, from the Stanford University School of Medicine, in a press release. His words, in effect, summarize the difficulty doctors face in diagnosing CFS, which is often mistaken for other conditions. Up until now, researchers have also been unable to find any underlying medical conditions that explain its onset. Characterized by extreme fatigue that lasts for six months or longer, CFS worsens with physical and mental activity but doesn’t improve with rest. 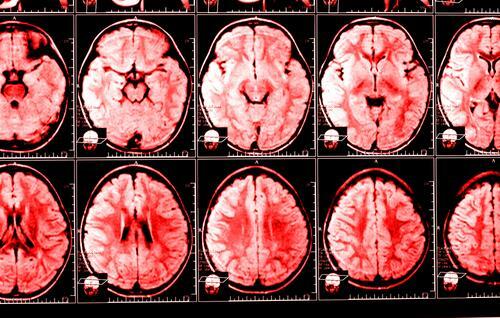 But the new study, published in Radiology, will help in more accurate diagnosis. "Using a trio of sophisticated imaging methodologies, we found that CFS patients' brains diverge from those of healthy subjects in at least three distinct ways," said coauthor Michael Zeineh. Montoya, who has been tracking around 200 suspected patients for several years, says that CFS can affect a patient long-term, even as long as 30 years. This new diagnosis will not only provide a CFS-specific diagnostic biomarker, but may also help in “identifying the area or areas of the brain where the disease has hijacked the central nervous system," Montoya said. While reduction in the white matter was expected, what surprised the researchers was the abnormality in the right arcuate fasciculus. A relatively unexplored region of the brain, the team found that there was a strong correlation between the degree of abnormality in a CFS patient's right arcuate fasciculus and the severity of the patient's condition, as assessed by performance on a standard psychometric test used to evaluate fatigue. Source: Zeineh M, Montoya J, et al. Radiology. 2014.